You might think a hair transplant is a step too far. Not Derby’s own Maria Fowler. She and her fiancé both underwent the His 'n' Hers procedure back in September. Last night she showed the world of social media just how chuffed she is with the results. 'My forehead is like... reduced! I've actually got a good hairline.' She shared. But would you dare to go under the knife to fix your hairline? Over the last few years we have been seeing more and more men opting for the procedure, but Maria, is the first woman, we've heard of doing it publicly. In the salon we see many clients with hair thinning and hair loss from a variety of different complaint and conditions. On one end of the spectrum there is minor, temporary shedding from seasonal changes, post pregnancy or stress, then we have more dramatic issues like alopecia, genetic balding conditions and scaring. Previously very few solutions were available and usually in the way of camouflage, clever styling or if you’re lucky an ointment to increase the hair growth, but could this hairline treatment be a game changer? 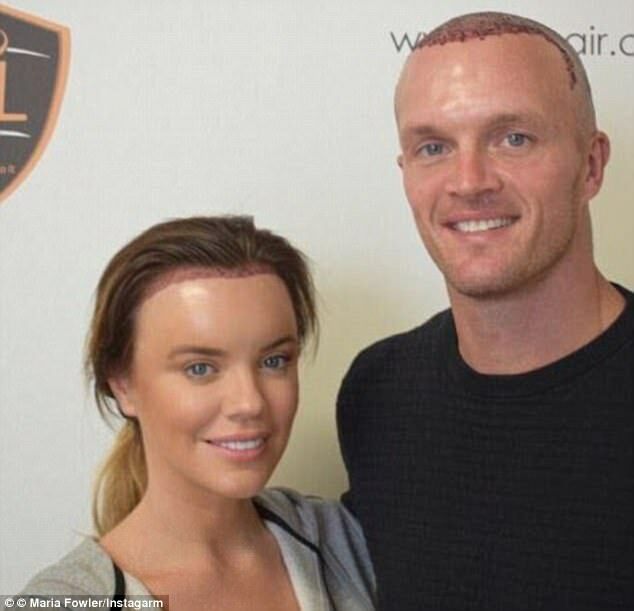 There are so many pressures put on both men and women to look perfect now and especially on social media, is this hair restoring treatment set to be the next big thing? Maria loves her new hair line and we think it looks amazing! But for those who aren't so brave, there are a number or hair thickening and volumizing products that can make a huge difference. If fine or thinning hair is affecting your confidence, speak to your stylist and GP to discover the cause of your thinning and see what can be done to help. Our hair clinic appointments can be booked by calling 01332 292129.